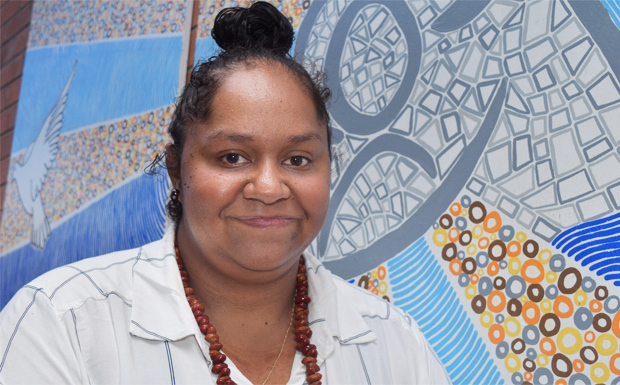 Niketa is not only a very talented artist – her works have been displayed at the Kingaroy Art Gallery – but she also works at St Mary’s so it was natural her talent should be on permanent show at the school. The triptych, a style often associated with religious artwork, is entitled “Our Holy Family”. The centre panel depicts Mary holding the baby Jesus. Niketa said the shapes within these figures represented how the values taught at the school permeated students’ thoughts, feelings and actions to become part of who they were. The panel on the left depicts the Holy Spirit as a dove, part of the logo for the school. On the right is the Benedictine Cross, reflecting the Benedictine values adopted as mottos by St Mary’s. “The blue lines, like sound waves, signify the importance of ‘listening with the ear of our hearts’, a true Benedictine principle,” Niketa said. 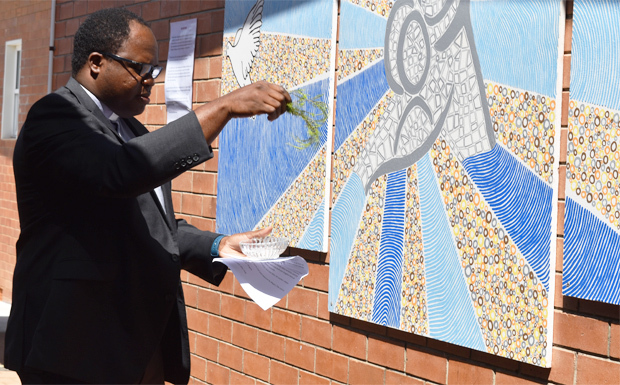 The artwork was unveiled and blessed at a special ceremony during morning assembly on Tuesday. Niketa’s father, Wakka Wakka elder Eric Law, did the Welcome To Country before Catholic Parish Priest Fr Chukwudi Chinaka blessed the artwork. Principal Angela Myles told the students the artwork had not been erected just to make the wall look pretty. She said it was an example of the importance of symbols. 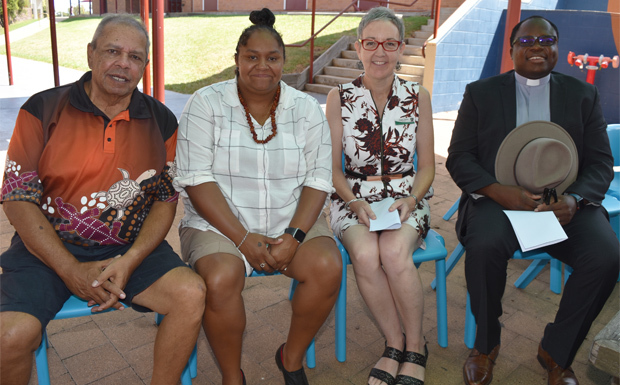 “It becomes a reminder to us about who we are as a community and what we stand for,” Mrs Myles said.